Watching Disney musicals like Aladdin and The Lion King steered Sipumzo Lucwaba towards his career choice. Lucwaba turned that childhood passion into his future, starting by teaching himself the bass guitar to help out at church singalongs. He went on to study at Wits University and was trained in his craft by musicians such as Carlo Mombelli, Malcolm Nay, Jonathan Crossley and Bryan Schimmel. Even before he completed his degree in music he had been cast to play the bass in the professional shows Dreamgirls and Dirty Dancing, and his love affair with musicals flourished. Since then he has played in The Rocky Horror Show, Cabaret and Funny Girl produced by the Fugard Theatre, and has joined the crew in the annual Janice Honeyman pantomimes for Peter Pan and Sleeping Beauty. He has also worked as the musical director for local artist KB Motsilanyane, toured locally and abroad with singer/songwriter Sabelo Mthembu, and has played as a studio musician for various other artists. Lucwaba not only plays music, he also arranges it, and has carried out transcriptions and arrangements for various corporate events including Jacaranda Pops, Skouspel 2013 and the South African Music Awards celebration in 2013. In 2015 he began working with the respected composer and musical director Charl Johan Lingenfelder, and became the musical director of the Fugard Theatre’s revival of the Todd Matshikiza classic, King Kong. 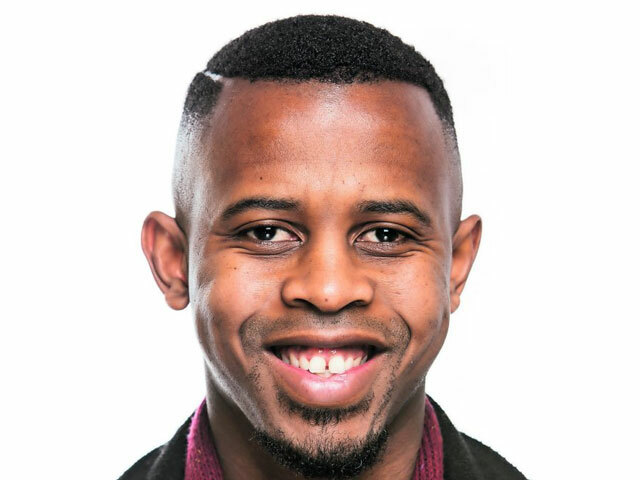 The show played in Cape Town and Johannesburg to rave reviews and his work on the production earned Lucwaba and Lingenfelder a joint nomination for Best Musical Director in the Naledi Theatre Awards. “In future I really hope to create more local musical theatre. As a nation we definitely have the talent, but it would be great if we could get the belief we need from producers and other financial stakeholders,” Lucwaba says.